This MSc aims to provide students with best practices in project, programme, and portfolio management. It focuses on bases of management completed with tools (such as Microsoft project or Maturity Models) and classes dedicated to project management (as Team and social competencies in Virtual project, project configuration or Organising Projects). SKEMA claims to train drivers of organizational performance. The school also insists on its international certifications: PMI®, PRINCE2®. Can I change campus each semester? Does the curriculum change? What do you mean by the specialization title “Project management for business excellence?” Shouldn’t all work be for business excellence? Does this program deliver additional certification related to project management? Are additional certificates required for employment? You emphasize the Lille campus location as near to Brussels, Paris and London. Does the program actually take advantage of that? Hi Andrea. 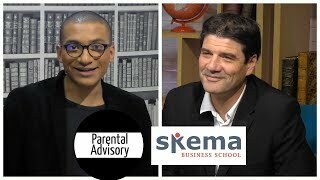 What did you study before and why did you choose this program at SKEMA? Andrea: What has been the most valuable experience in this program for you so far? Hi Andrea. How intense is the workload? Is there time to have a social life outside of school – and with other people not in the program? Can you explain your vision a little more, please: “Empower people to make the world a better place.” Is this a humanitarian degree? Do you offer exchange programs beyond your own campuses in France and Brazil? What corporate links and relationships does this program have that benefit students? What are common career outcomes of graduates of this program? Hello Manaelle. Did you use the career services at SKEMA? Was it helpful? The Expert Question: Project management seems like a job that could just as well be learned on the job. Wouldn’t it be better learn through experience after a bachelor and pursue an MBA or similar later? 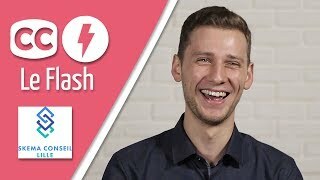 What are the criteria for studying in Brazil? What hands-on projects are incorporated into this program for concrete experience?